Bloating is often mistaken for stomach fat and it occurs when the normal flow of gas (produced in the colon after we eat or drink), is disrupted in some way getting trapped, resulting in distention and discomfort. The good news is that there are lots of simple tweaks that can counteract common bloat-inducers. Here’s how to avoid loosening that belt buckle. 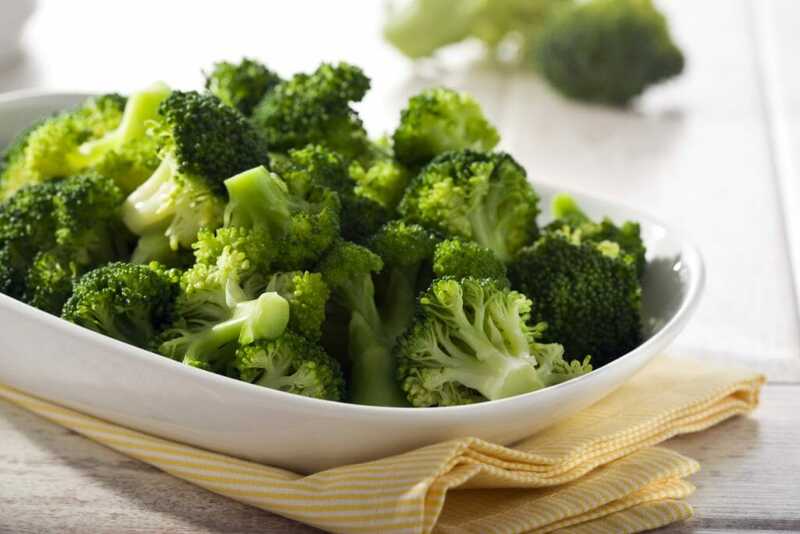 Some vegetables produce more gas than others do, such as cruciferous vegetables (broccoli, brussels sprouts and cabbage). Why? They contain sulfur and a carbohydrate called raffinose, both of which are hard for the body to break down. This doesn’t mean you ditch your green entirely, just limit the amount you eat at one time to minimise its effect. 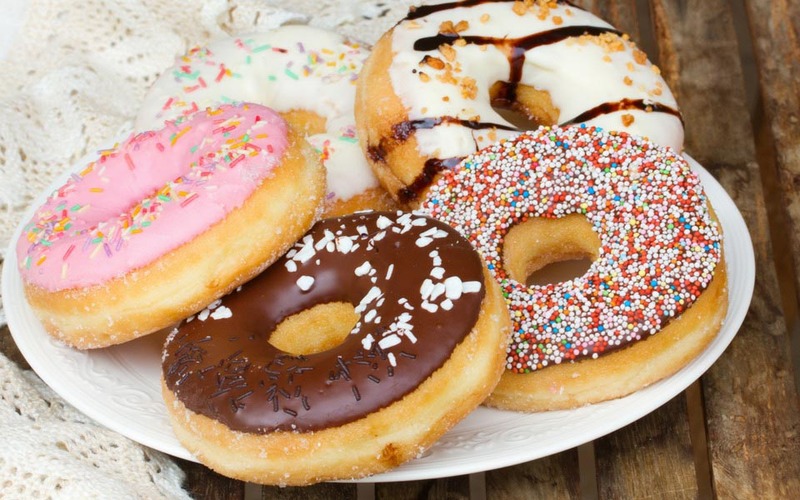 Fatty foods, particularly the saturated kind found in pastries, fried foods and processed meats take much longer to digest than carbohydrates or protein. 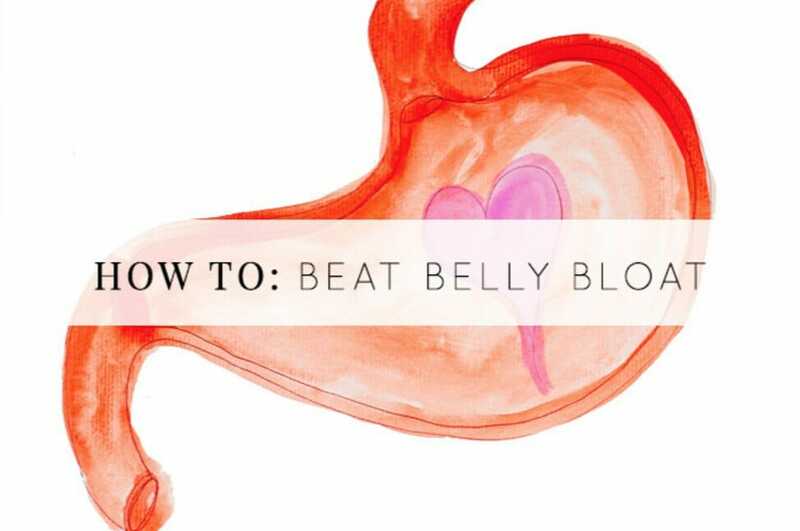 This extra time allows gas to build up, causing bloating. The tingly bubbles contain carbon dioxide, which once ingested, forms pockets of gas within the gut producing wind and belching. 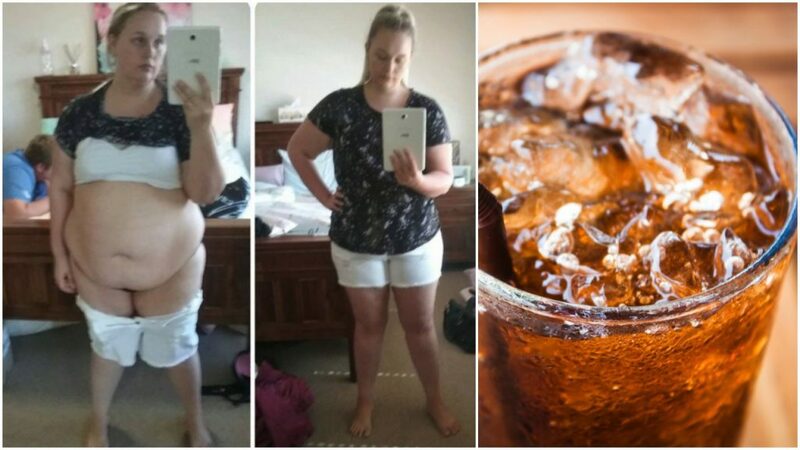 Read how Larina (pictured above) lost 34kgs* by ditching fizzy drinks and fast food here! Artificial sweeteners cannot be broken down in the stomach, therefore tend to linger in the gut creating a breading ground for the fermentation of bacteria, leading to production of gas. Common culprits include aspartame, saccharin and sorbitol. Salt causes your body to retain fluid, contributing to that puffy appearance and extra water weight. Surprisingly the majority of salt is hidden in processed foods, namely condiments, sauces and salad dressings. As always read the labels. Fibre-rich oats stay in your stomach for hours which help to control hunger. Steer clear of instant oats or sugary flavoured varieties. Choose natural rolled oats and sweeten it with yoghurt, fruit and cinnamon. 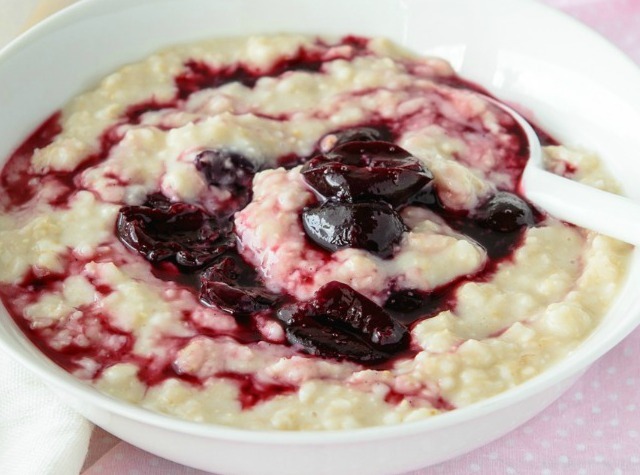 These 5 Ingredient Oats With Vanilla Cherry Compote are a great way to start the day! 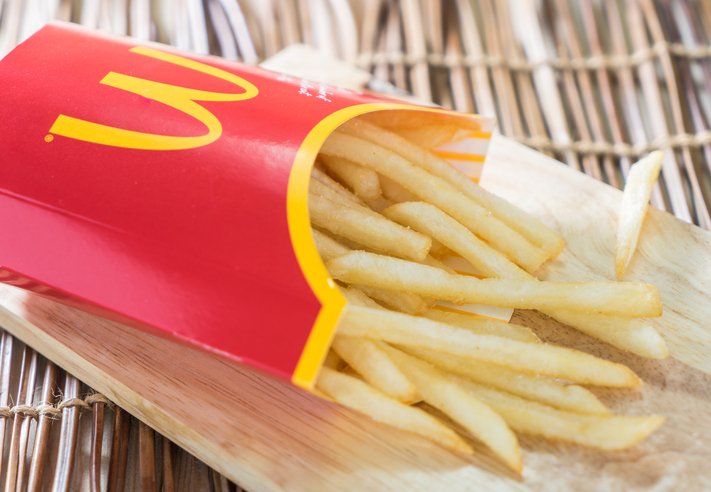 Chock full of filling protein and healthy fats which help to curb the appetite and reduce cravings. 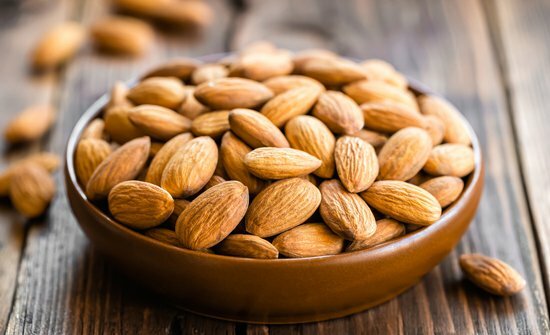 Snack on 10-15 almonds per day. Most wholegrains are low GI meaning they digest more slowly over time keeping blood sugar levels more stable – this prevents overeating and weight gain. Think rye, spelt, barley, quinoa, oats and brown rice. 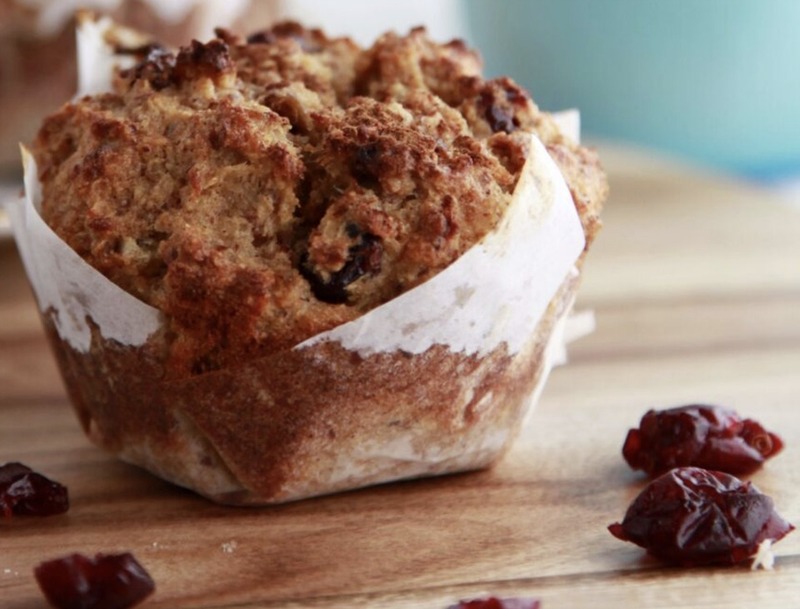 Snack on these High Protein Honey Apple Quinoa Muffins! Not only are eggs rich in protein, they contain a high content of vitamin B12 which helps break down fat cells more effectively. Poached or boiled eggs are a perfect choice for a healthy breakfast. 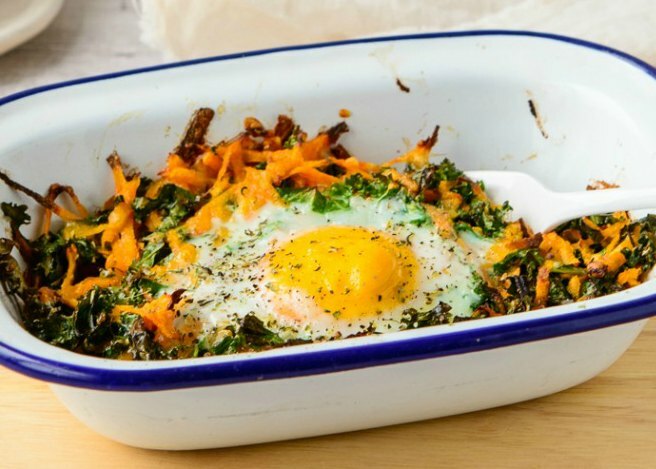 Check out this recipe for Roast Sweet Potato And Baked Egg Hash. These are packed with appetite-suppressing fibre and protein which keep hunger at bay. 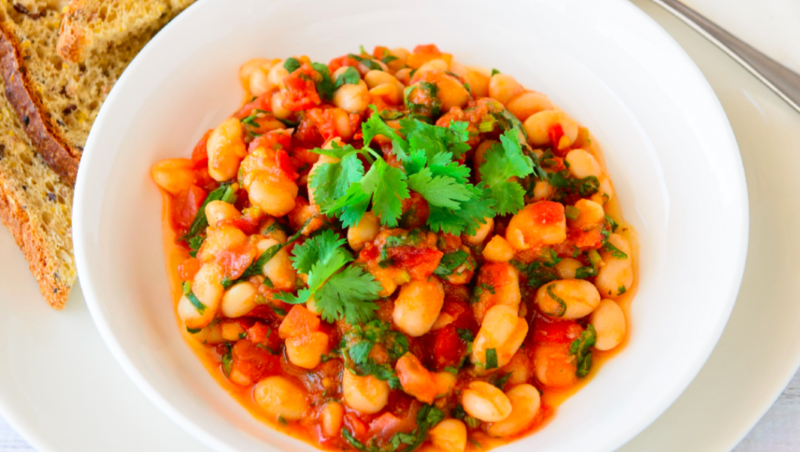 Swap a meat-heavy dish for beans or legumes in casseroles, burritos, and pasta dishes a couple of times per week to increase the bulk without the added calories. Make your own Healthy Homemade Baked Beans for a simple breakfast, lunch or dinner! 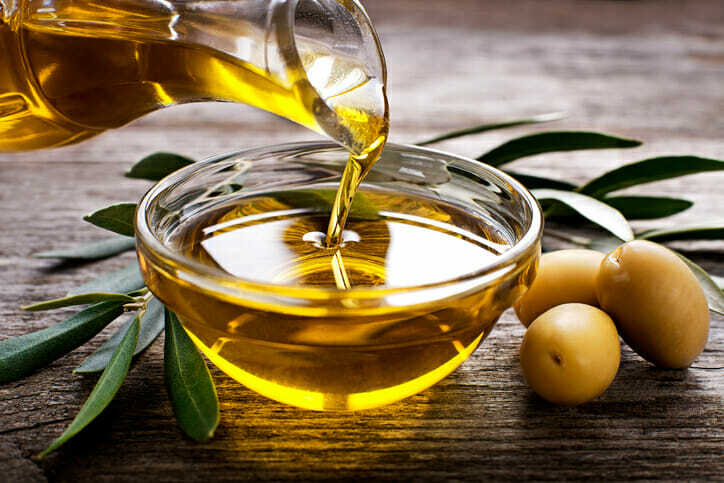 One of the keys to reducing fat around your midsection is to focus on eating monounsaturated fatty acids (MUFAs) – a healthy fat which help to keep cholesterol levels under control and satisfy hunger cravings. MUFAs are also found in avocado and canola oil. Apart from being a great source of protein, oily fish such as trout, salmon and tuna contain large amounts of omega-3 essential fatty acids. These fatty acids are less likely to store as body fat help the body process and flush out fats. Aim to eat fish three times a week. 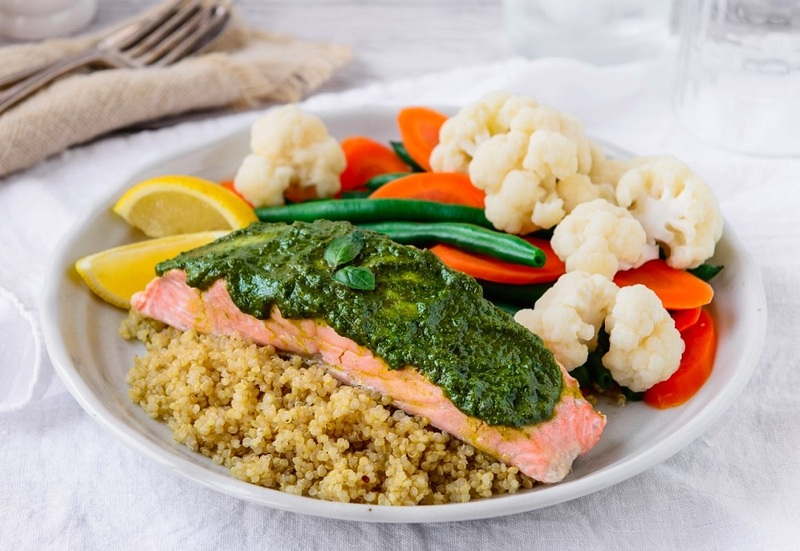 This Pesto Salmon recipe is a delicious dinner to impress everyone with, but it’s actually super simple! Having a food intolerance means you will experience an adverse reaction to certain food components. There are many different types of food that people can be intolerant to but the most common include milk, wheat, and gluten. If you think you have a food intolerance, then it’s important to get a proper diagnosis from a qualified medical practitioner. Don’t cut food groups out of your diet without medical advice, because you could miss out on important nutrients. Are you inspired to lose weight and improve your health? 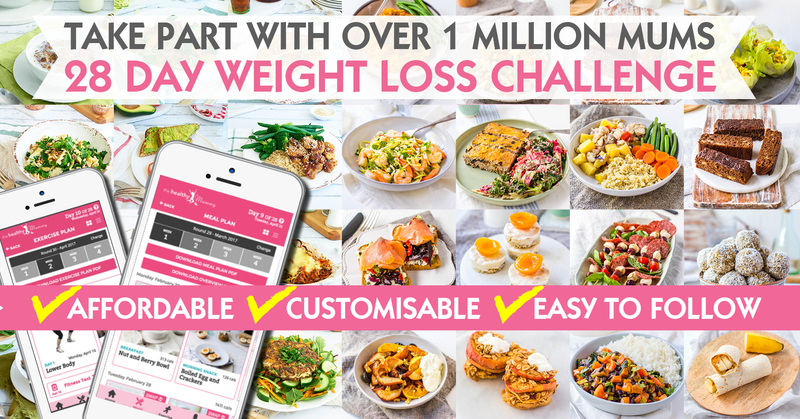 Regain your body confidence with The Healthy Mummy’s 28 Day Weight Loss Challenge! “Maybe you are sitting on the couch thinking I need to get my act together I need to get healthy for myself but also my kids and family. What is stopping you from starting your journey? 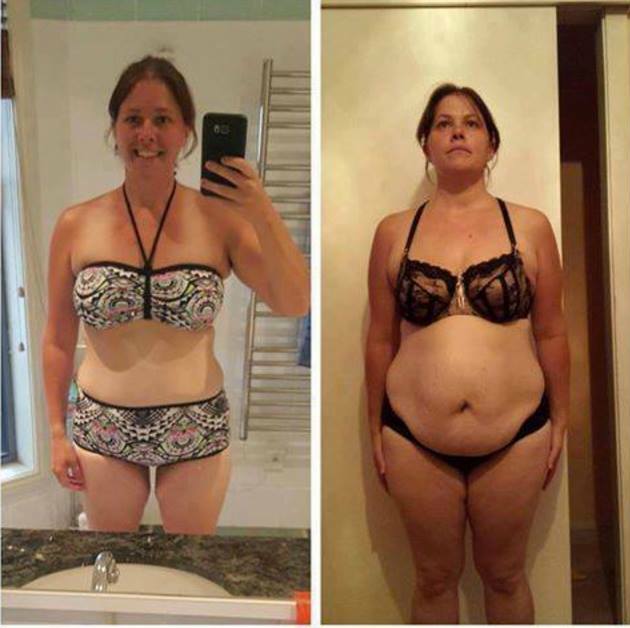 I started my Healthy Mummy weight loss journey after I had Piper 2 years ago nearly.